The Japanese expression of autumnal colored leaves 紅葉 denotes two things: the Japanese maple tree (momiji) and all the tinted autumn leaves (koyo). 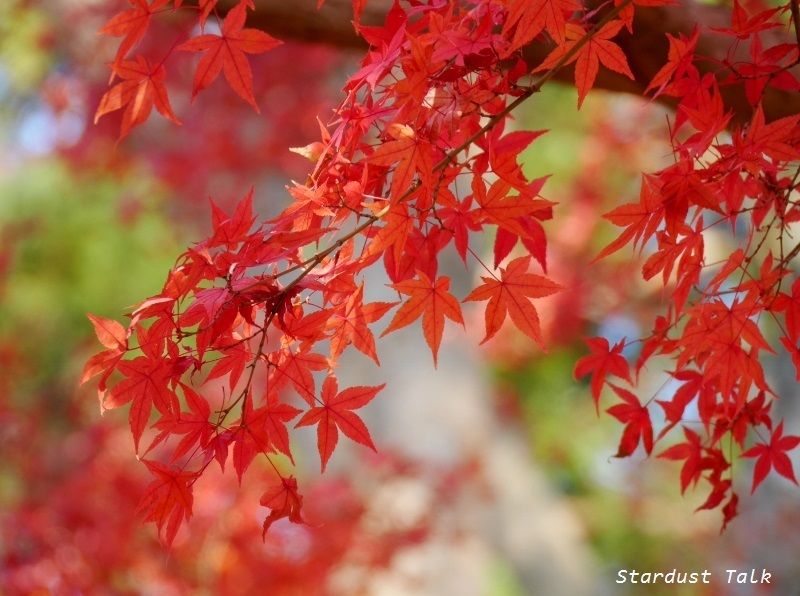 Though most deciduous trees do turn colors, the colors which have touched Japanese people’s heart at its core from the ancient time is Momii (Acer palmatum) for its breathtaking burst of fiery colors, which soon muted in colors in the onslaught of winter. 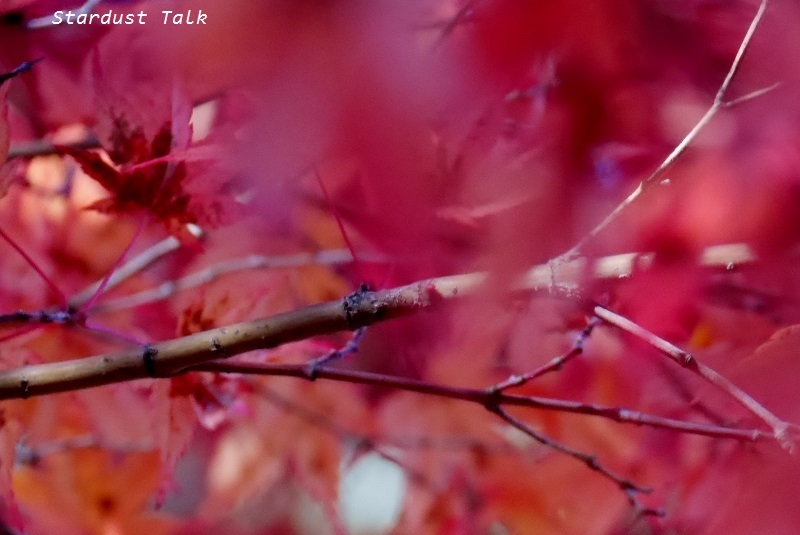 I've tried to capture the brilliant red I see with my eyes by setting white balance “cloudy”. It is better to set exposure compensation a little under-exposed when it comes to red leaves, but to me it depends as I prefer lighter, brighter tones. 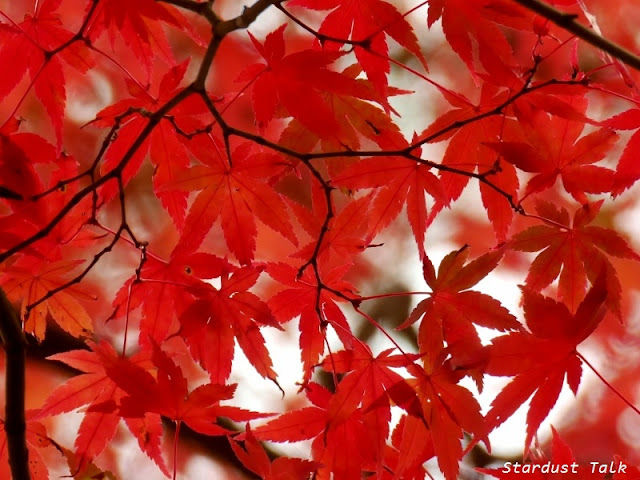 The charms of Momiji is not only red colors, though shades of red is the dominating colors. 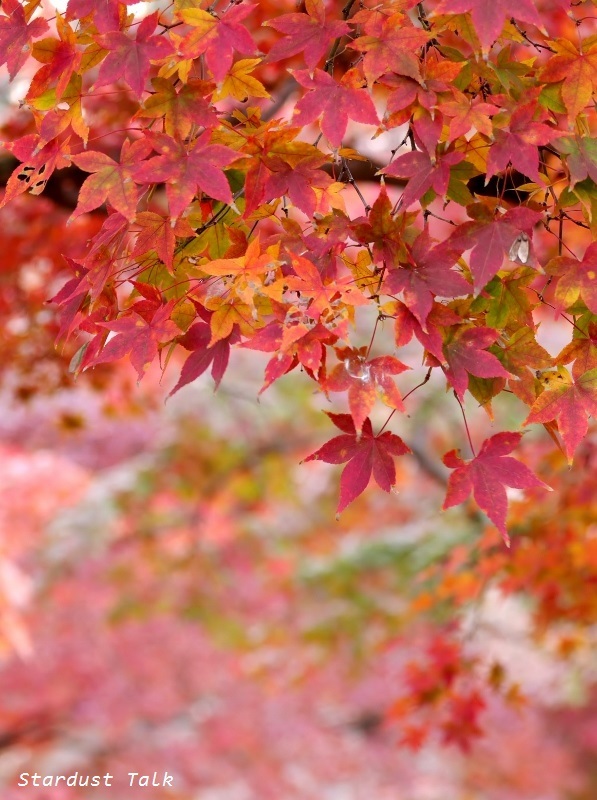 It comes in all the hues from green to yellow, orange, to pink, purple, and to red, in their process of changing colors. 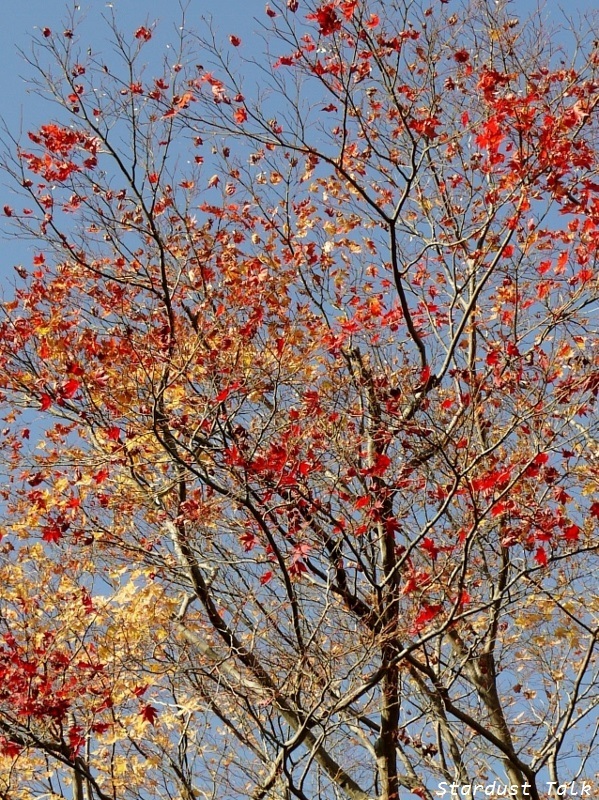 Single individual tree has many various different colors. 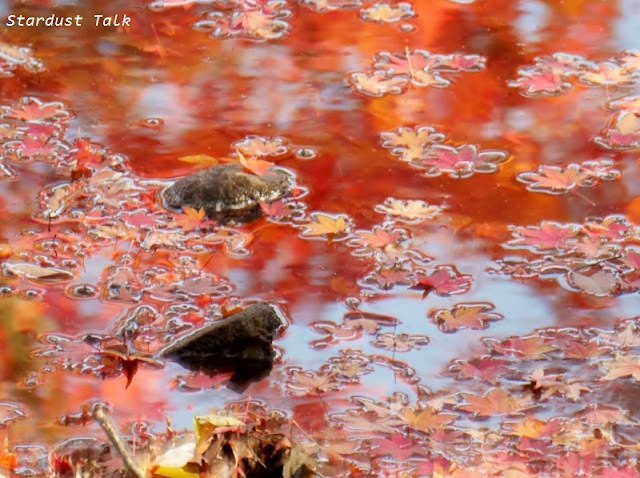 The fallen maple leaves and the reflections also show the various different colors. Momiji season is going to end. Wearing kimono, the ladies are into the mood of Kyoto. 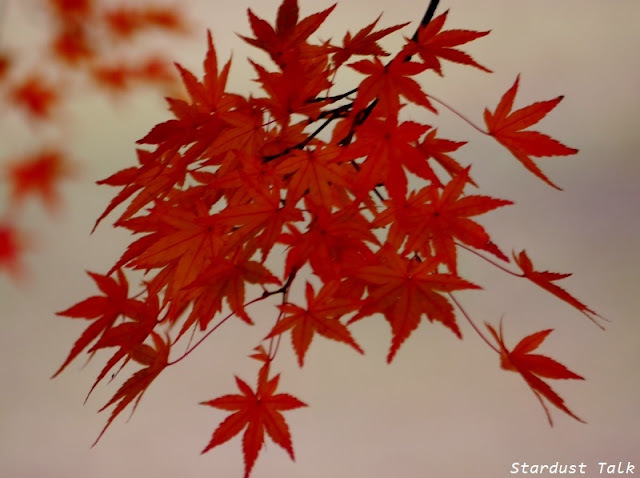 In the middle of December, the leaves still clinging to the branches get faded in colors like the photo below. Momiji flare up suddenly and disappear as suddenly like "senko hanabi", a small traditional Japanese firework you can play at home. After lighting, orange sparks fly soon in the shape of a cluster-amaryllis; those sparks quickly disappear and small sparks begin to twinkle; a red ball of fire on the end of the paper string gets bigger and bigger, and finally falls down. Momiji's last flare is beautiful but brief. 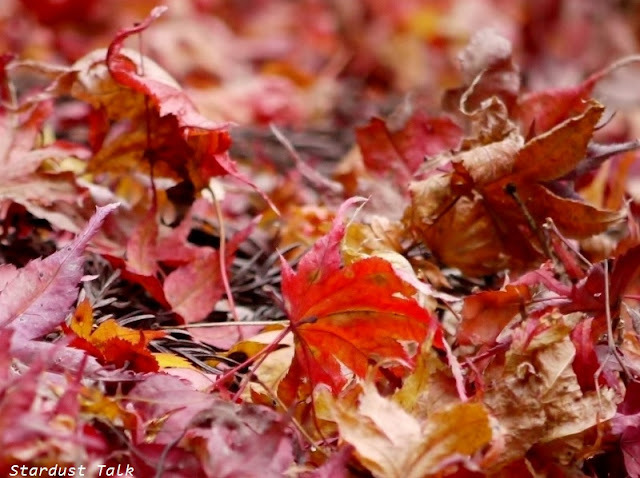 "I wonder if I'll be able to see this beauty next autumn again." which will enable successful birth and growth of young plants. 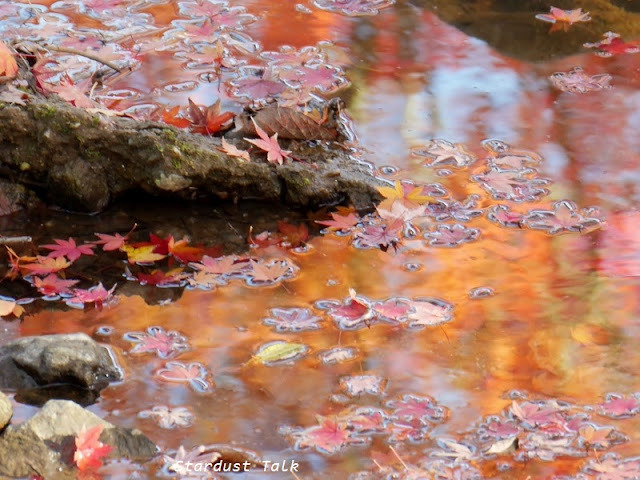 "I've tried to capture the brilliant red I see with my eyes..." --> You did it, Yoko!!! Your photographs are really superbly! And I can't believe the the "foliage" season has lasted that long! 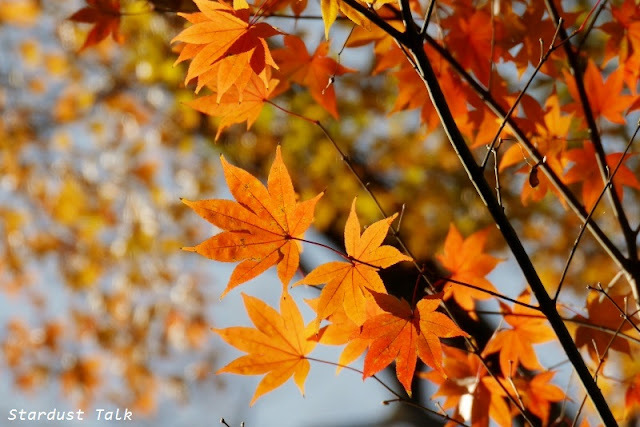 We miss the coloured leaves on our trees for more than one month already. But currently it has been that warm in late November and beginning of December, that the first bushes and buds already started to flourish again! They seem to get a kind of spring fever!!! Enjoy a great end of the year season dear friend. The shadows, the sparkling light, the fiery red - you have created little images of magic Yoko - I can understand your mother's thoughts, I feel the same except for me it is the spring blossom. Your photos are absolutely gorgeous!!! Your photos are truly a sight for sore eyes. What magnificent splendor. I go into the day with a smile and warm heart. Thank you very much, Yoko! De colors and the pictures are gorgeous !!!!! Sometimes the briefest flare of beauty is the one we remember and revere the most. 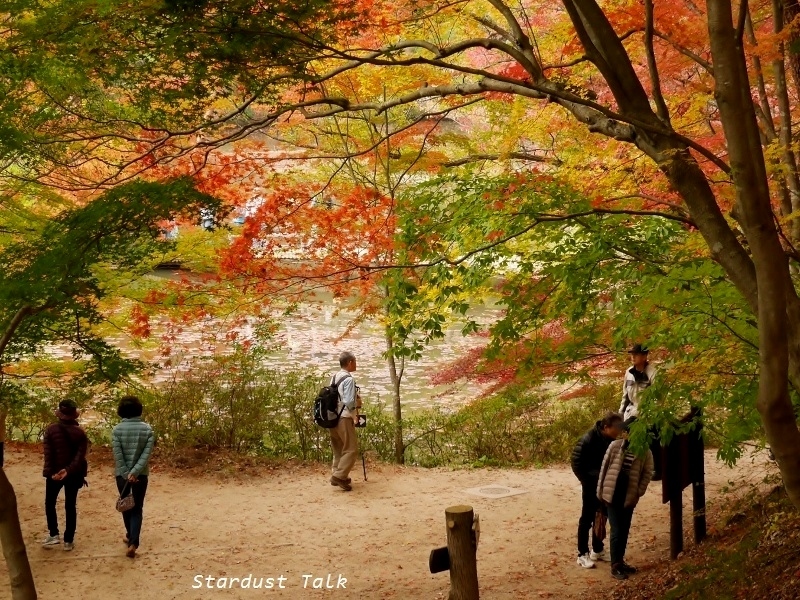 Seeing your photos makes me want to visit Nara during the time the Momiji trees flare with color. You know that red is my favorite color, but I also like the other more muted tones of the tree. Even on the ground as they crinkle to dust, they are beautiful. 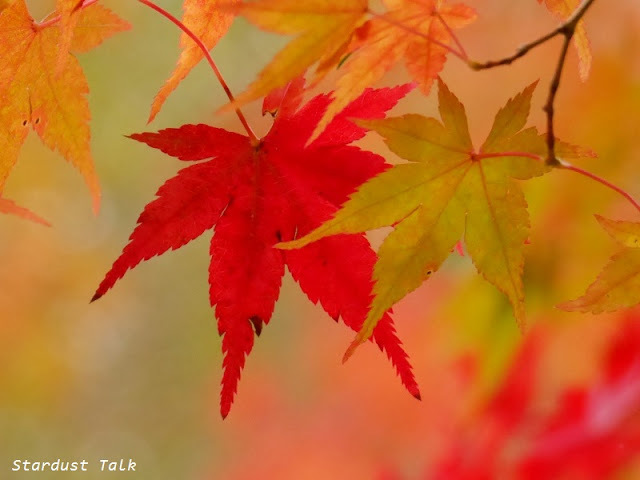 Wonderful fall photos, Yoko! I love Japanese maples. I have too Acer shirasawanum and A. s. 'Aurea'. I have some Japanese maples in Finland. You live with such beauty around you. 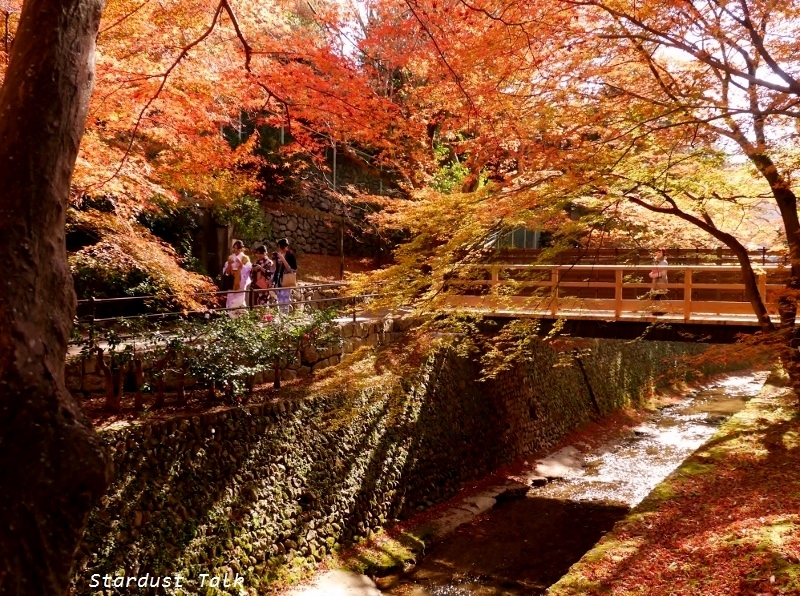 The Japanese maples are so glorious in autumn and your photos are a feast for our eyes. Thank you so much for sharing. Your artistic feeling is exquisite. 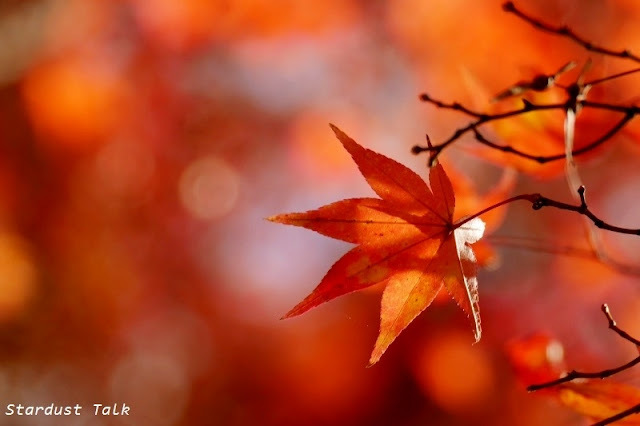 Such beautiful colors of the leaves in autumn colors replace the summer flowers. Wonderful it looks. Regards. I can only say beautiful, beautiful! 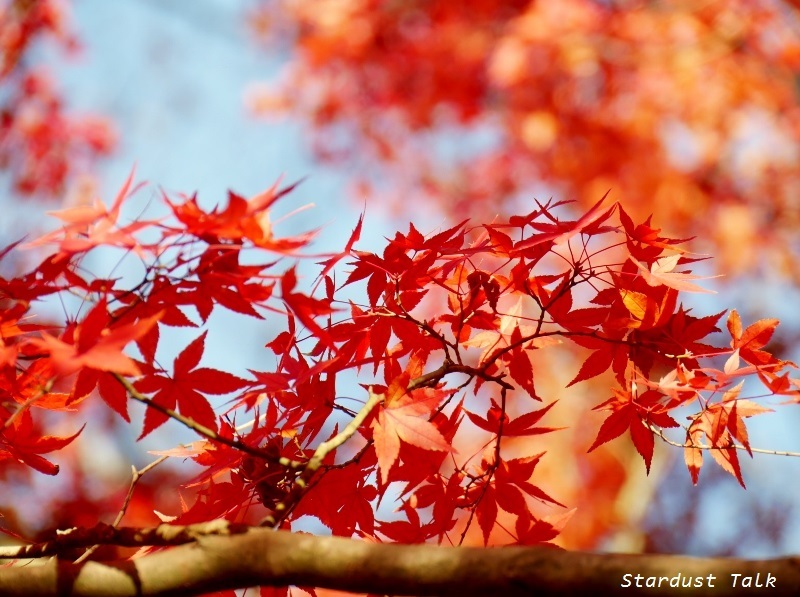 There are some gardens near my home where the Japanese maple grows, and I love seeing their fiery leaves turning red in the autumn. 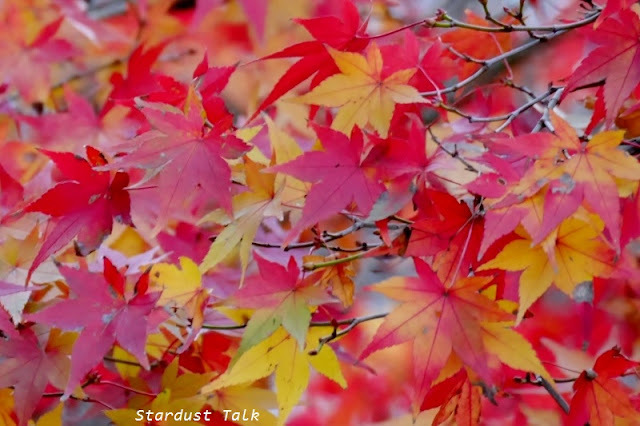 Thank you for these beautiful photos - every year, Autumn trees seem more beautiful to me. I understand your mother's comments. If I had known this poem by Shiko, I would have included it with quotation in the post,because it describes the sensation and sensitivity I tried to show. Thank you, Mary, for introducing it. I’m mostly ignorant of his works. These wonderful maple trees. Its colors are fantastic colors !!! What beautiful colours and I like the way you photographed the leaves. Wonderful, glorious autumn. I love the deep rich colours. Who needs flowers when the leaves are so beautiful. Thank you, Stiletto, for this comment. I visited your blog and tried to leave a comment like before, but it required me to post a comment with my full name, which I’m unwilling to. My comment is as follows. Senduduk is such a beautiful flower. It reminded me of my late mother who liked and looked nice with purple color, both bluish and reddish. They are beautiful trees and I'm sure that English people admire them as much as those from Japan; there are certainly lots of specimens growing in English gardens.